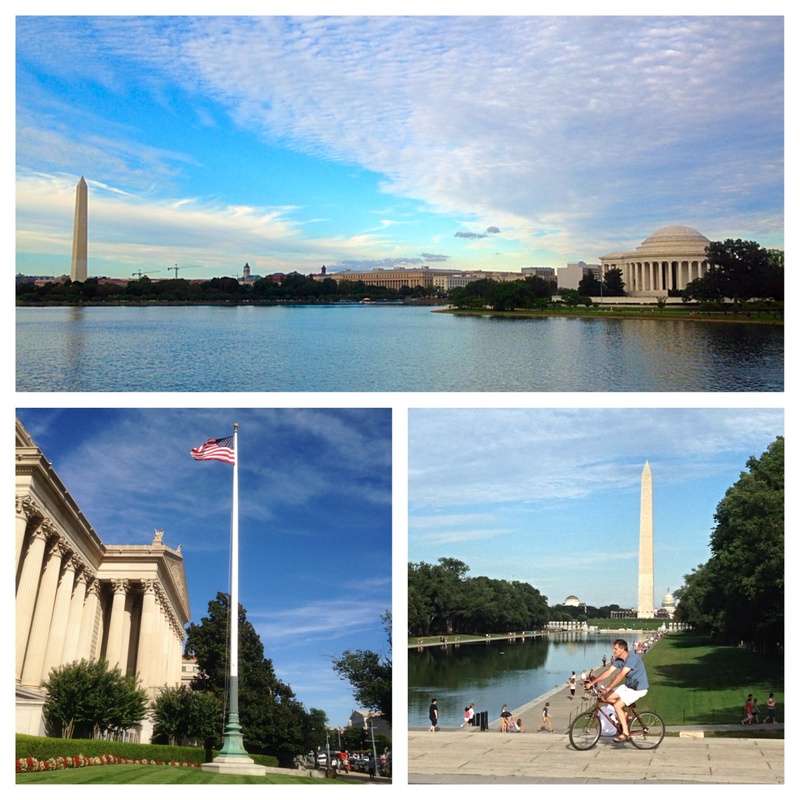 Washington, District of Columbia, is a tourist’s dream. Monument after monument, museum after museum, icon after icon, all within strolling distance dotted around the National Mall (no not a shopping centre, more like North Terrace meets the Parklands, but on a global scale). 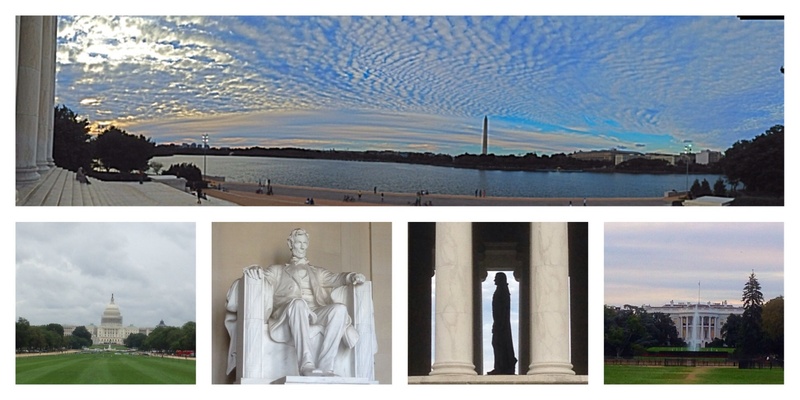 Lincoln, Jefferson, the Washington needle, the Reflecting Pool, WW2, Korea, Vietnam memorials, the Capitol, the Smithsonian museum in its many parts, galleries galore, it’s all there. You look like an American. Which way is the National Mall? We wanted to get close to the White House but police on pushbikes and a peloton of Segways kept the tourists at bay, herding us like sheep, effectively “closing” the Ellipse, a piece of open parkland. I wondered if the cops stay there all night on their bikes? Probably. National Portrait Gallery. An exhibit not a person. Joan Miro sculpture in the garden. The Electronic Superhighway. 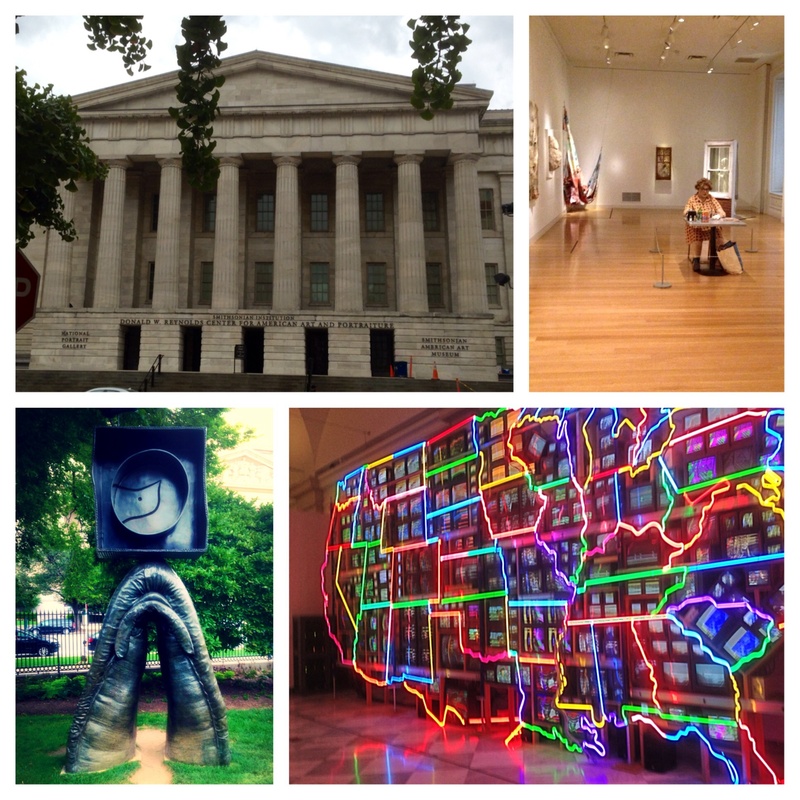 I checked out the Smithsonian Space and Flight Museum, saw Apollo 11, then strolled past the National Archives, the Hoover Building (no, not vacuum cleaners – the FBI) and found the National Portrait Gallery and Smithsonian American Art Museum. There I spent time with all the past presidents in various media, got up close and personal with Civil War Generals Robert E Lee and Ulysses Grant and saw a decent smattering of modern works. Most striking was Nam June Paik’s Electronic Superhighway– a neon map of the USA, each state represented by an old school TV playing locally relevant footage, but with an overarching theme of civil liberty. I was captivated. It is brilliant art. Then once you’re fatigued with museums and monuments, there’s always shopping. For a capital city, eating and drinking were not too expensive, but allow an extra 20-30 percent for the obscene level of tipping required (Aussies take note). If you are feeling homesick for Oz, check out Fado Irish bar on 7th and H where they have genuine imported Cooper’s Pale Ale. 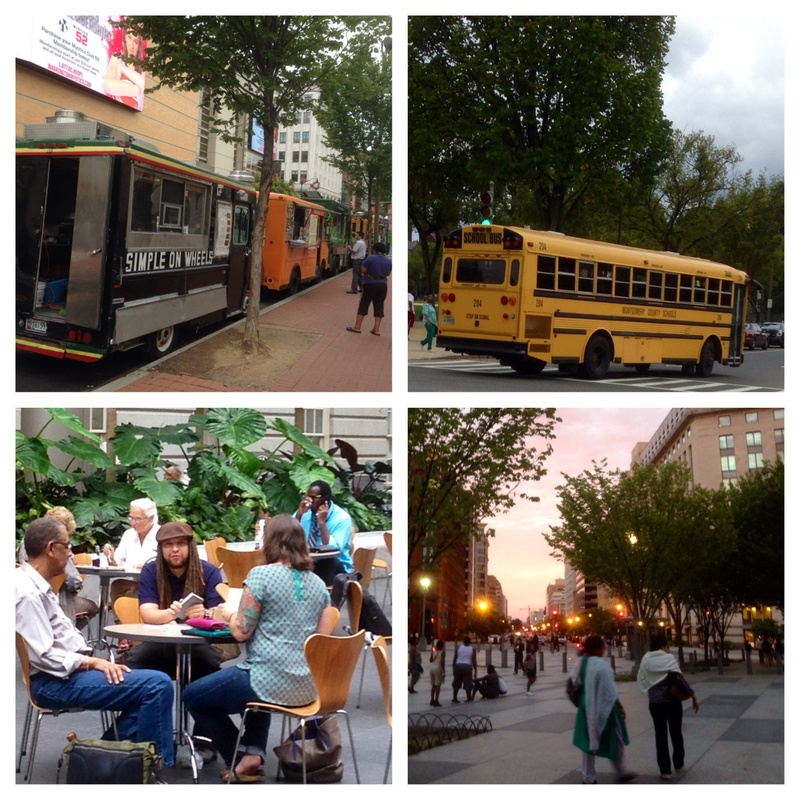 An army of food trucks- where were they 7 a.m. Saturday morning when I needed them? Yellow school bus – just like the Simpsons. Locals (probably tourists) relaxing, walking. One final thrill- travelling Route 66 on the way to Dulles International Airport before boarding the aircraft via the weirdest buses on the planet.